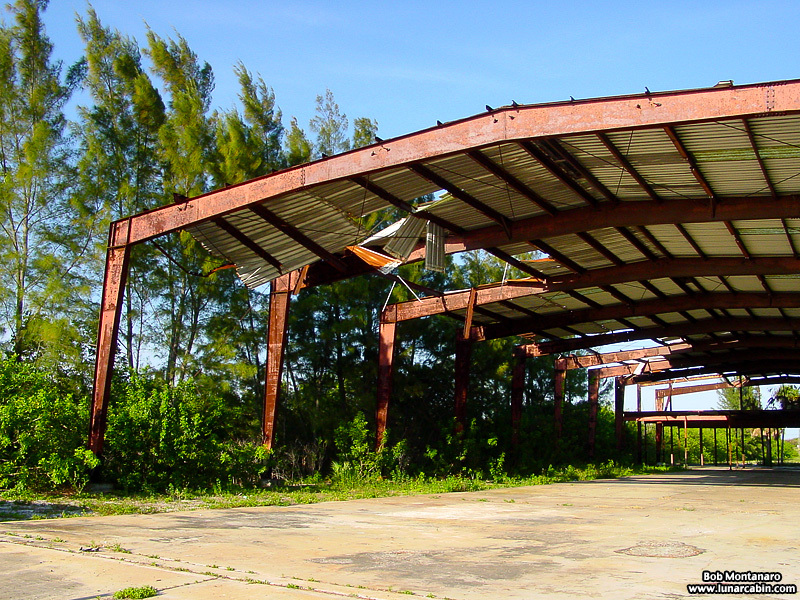 These are the remains of a boathouse that was part of an old Florida marine research station that no longer exists. Out in the middle of nowhere, it was a hike through dense jungle-like growth to reach it. Successive hurricanes slowly dismantled it and now there is very little left of it except for the concrete slab and the boat launch area. And, of course, the vegetation creeping in. I like the row of red supports that look like insect legs. Time to move along. Nothing more to see here.